Memorial services for Pat Fisher will be held at 1:30 PM, Saturday, September 1, 2018 at Council Grove First Congregational UCC. Memorial contributions may be made to the church and sent in care of Zeiner Funeral Home, PO Box 273, Council Grove, KS 66846. Patricia A. Fisher, 83 of Council Grove, Kansas passed away Thursday, August 9, 2018 at Morris County Hospital. She was born June 7, 1935, the daughter of Louis and Minnie Faye (Collier) Bosch. She graduated from Council Grove High School and married Billy C. Fisher December 24, 1953. Pat was a member of First Congregational UCC and volunteered at the Community Thrift Store. She enjoyed going to the Saddle Rock and visiting, going to garage sales and the thrift store, working in the yard, and her dogs. 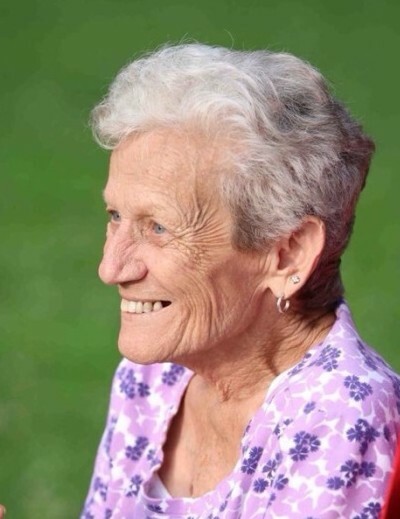 Pat loved her family and cherished time spent with them. She was preceded in death by her parents, husband Billy on December 22, 2013, sister Helen Proehl, and brother Milo Bosch. Pat is survived by her sons: Ricky D. Fisher and wife Janet, of Salina and Rex Fisher and wife Brenda, of Olpe; her daughter, Cindy Fisher, of Council Grove; grandchildren: Cortney Weeks, Amanda Schmitt (Brad), Brandy Todd (Jay), Seth Goodman (Lisa), Billy Goodman (Reni), Desiree Biggerstaff (Robby), Amber Crabtree (Justin), Brandon Fisher (Tanya), and Hattie Fisher; and 18 great-grandchildren. Pat will be sadly missed by all.